How you find the best photograph for your print project or website doesn't have to be a grueling process. The amount of time it would take you to find the best photo at the best price, might leave you scratching your head wondering if there is a more efficient process to locate stock photography. If you're familiar with keywords, which are the most important tool for finding your images. The key to using effective keywording is to use all the terms – and only the terms – that are clearly conveyed by the content and context of the image. When selecting your keywords to find your images, make sure you include terms that describe the main content, what it's doing, where it is, what concepts it conveys in the image you desire, and how the image is composed. All four, Graphic Designer, Marketing Consultant, Creative Director, and Art Director often work in unison to craft the best art piece or scene for clients. It can take years of training and working with various clients to develop the talents that result in award winning magazine ads, motion graphics, film, television, posters, billboards, postcards, book covers, email promotions, websites and beyond. If you decide to confront a problem of finding your own stock photography head-on and deal with it openly, you should know that photographers images are often sold by more than one vendor and you could end up paying more than you needed. Take this for example, you are searching for a "businesswoman with laptop computer at work" using Google. As of the date of this post there are about 885,000 results. This includes thousands of stock photography vendors who sell rights-managed (a copyright license which, if purchased by a user, allows the one time use of the photo as specified by the license. If the user wants to use the photo for other uses an additional license needs to be purchased) and royalty-free photos (the right to use copyrighted material or intellectual property without the need to pay royalties or license fees for each use or per volume sold, or some time period of use or sales) for different prices. 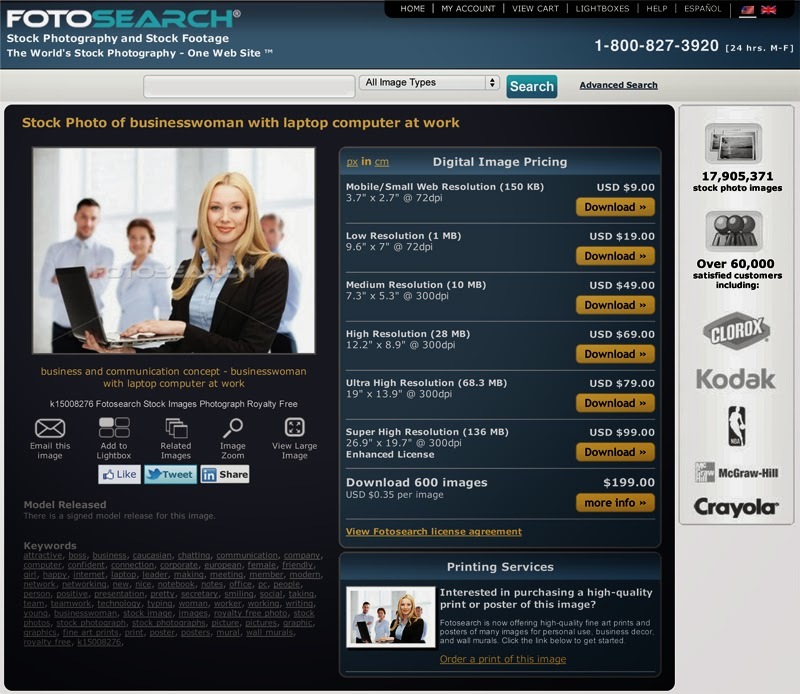 Figure 1 (above) is a photo of "businesswoman with laptop computer at work" from fotosearch.com that costs $19 for a 7" x 9.5" at 72dpi photo. Figure 2 (below) "businesswoman with laptop computer at work" from photodune.net cost only $5 for the same image, saving you $14. A Graphic Designer, Marketing Consultant, Creative Director, or Art Director will often know where to purchase the best stock photographs at the lowest price, because they have done this hundreds if not hundreds of thousands of times. The choice is yours, you can DIY or contact an agency like Oevae Marketing Consultants and save time and money to get exactly what you want - the best graphic design image.